Here at Luxuria Lifestyle, we’ve been on the lookout for luxury products which will help you reverse the signs of ageing with their very special ingredients. Here’s five of our favourites! Developed and made in Switzerland, Dr Levy’s Eye Booster Concentrate is a product which gives long term rejuvenating effects to the delicate skin around the eye. It contains Argan CDV (Argan Cell Activ) – a plant derived stem cell extract from of the Argan tree, which stimulates the duplication of the skins dermal stem cells. It works specifically on the crows feet area around the eye to decrease the depth of wrinkles. However as with most of these creams it should be used for eight weeks before you will begin to really notice a smoother and firmer look to the eye area. The eye booster comes in a compact 15 ml container but because you need to use so little of this product, it will last and last. Colourless, with a lovely creamy smooth texture, it feels luxuriously rich. On sensitive skin, you may find the product a little harsh on initial application, but after looking at the ingredients and realising it’s a rather strong product, using with care and caution to begin with is highly recommended. A phased introduction and build up is definitely the way to go. Use the product once a day and every other day for the first two weeks and then build on that. You should eventually be using the stem cell eye booster twice a day for maximum results. The nice creamy texture glides on the skin and you immediately feel a slight tightening . With ingredients like Argan CDV to promote stem cells, PCT Malus domestica to reduce wrinkle depth, Retinol to increase collagen and Tripeptides to increase firmness and elasticity, it’s a winning combination. Use the Dr Levy Eye Booster Concentrate along with the Booster Cream – again building up use gradually. Again containing Argan CDV, this product is scientifically proven to boost stem cells – the skin’s natural cells which actually fight wrinkles. Along with this wonder ingredient, the Booster Cream also has epidermal stem cell activators along with nine other concentrated anti-aging and nourishing ingredients for the ultimate age fighting product. After eight weeks, you’ll notice improved elasticity in the skin, tightness, more hydration and softer skin to the touch. Perricone MD Hyalo Plasma cream is scientifically formulated with three forms of Hyaluronic Acid and therefore promotes younger looking, hydrated skin. The result? Skin will feel nourished and radiant. A 30ml pot goes a long way, while the cream should be used twice daily in the morning and evening over an eight week period to achieve the very best results. 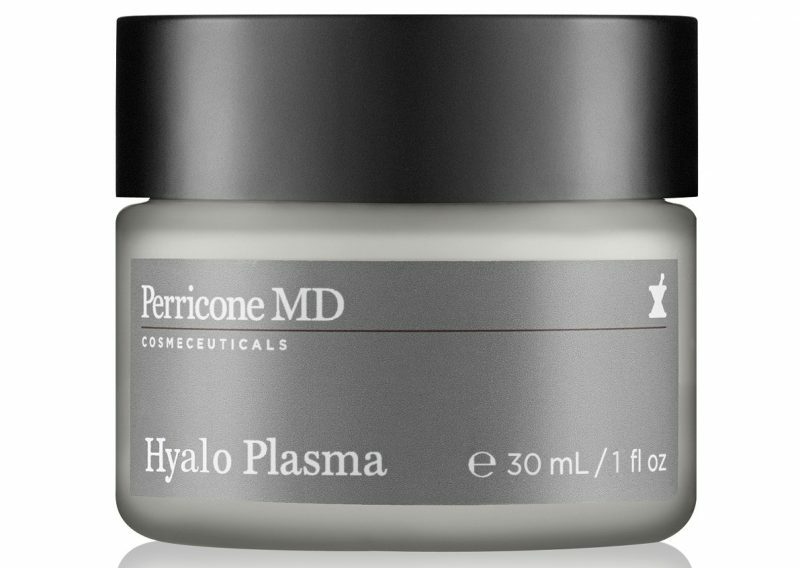 Perricone MD Hyalo Plasma has quite a thick, gel like consistency, although it’s not greasy at all – it’s particularly good for very dry skin, smooths beautifully onto the skin and leaves it feeling silk and glowing. Make up can be applied directly on top without having to wait as it sinks straight in, which is great if you lead a busy life! Just four weeks in, you’ll notice plumper and smoother skin and with longer use, a considerable reduction in fine lines too. Having been developed over five years, Dr Perricone’s award winning technology addresses the ten visible signs of ageing including wrinkles, uneven skin tone, and loss of firmness, smoothness and radiance. Neuropeptides ensure an optimal delivery of the nutrients containted in Perricone MD Hyalo Plasma for healther, younger looking skin. Use a pea size amount, twice daily for eight weeks. Our favourite Luxuria Lifestyle product. The Sond Skincare range not only boosts collagen and improves elasticity, but it also treats common conditions such as eczema and psoriasis. 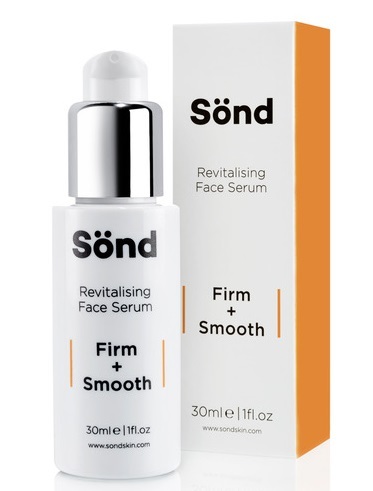 Developed over three years by German scientists, Sond Skincare uses silicon (or silica as its also known) with its therapeutic properties and positive impact upon the skin. As we age, silica supplies to our skin deplete, in turn reducing collagen and leaving you with wrinkles, but while using the Revitalising Serum from the range, you’ll improve the delivery of oxygen to your skin, in turn making it feel and look healthier and plumper. Just 1 or 2 drops to the skin each morning is enough to notice a difference. It feels silky smooth upon application, with a glow as a result of the silica boost. Hyaluronic acid contained in the serum tightens skin and helps to combat the signs of water retention which will leave you skin looking saggy and dull. 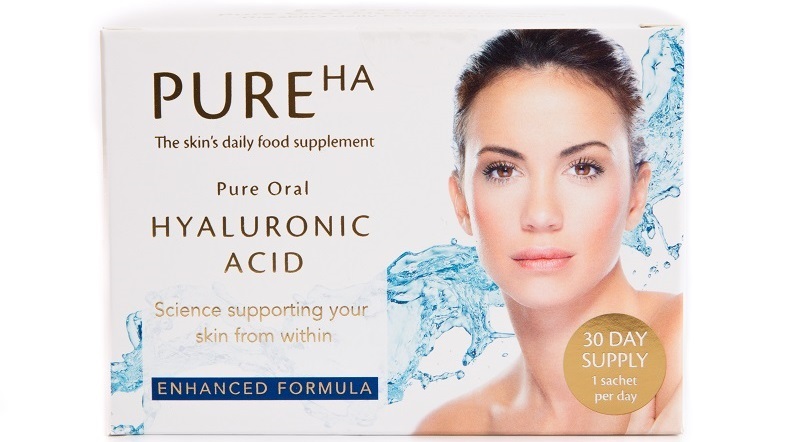 Pure HA is a daily dose of Hyaluronic acid and Vitamin C which hydrates and nourishes the skin from within. Taken over a two month period (although results can be seen within just 30 days) you will begin to notice that your skin will feel hydrated and smoother with a fresher complexion, with fine lines appearing less obvious. The pocket size sachets are so convenient – perfect for slipping in your bag if travelling or on holiday and the liquid in each sachet is such a tiny amount that you only need to add a tiny drop of water, because Pure HA is virtually tasteless. A beauty regime which can be taken any time and anywhere – super easy and absorbed within 60 minutes! After 20 days of use, you will begin to notice that dry skin is much more hydrated and noticeably plumper. With longer usage, you’ll notice more pronounced results and the no fuss process of just dropping a sachet into a drink instead of a full on beauty routine is a great selling point. Super facialist by Una Brennan is affordable skincare and available at Boots. Its skincare which will make your skin look and feel absolutely lovely but without a huge price tag and isn’t that what we all wanT – luxury products at a price to suit all pockets?! The day cream (£19.99 50ml ) contains Hyaluronic acid , moisturising shea butter and a White Tea antioxidant which stimulates cell regeneration and builds collagen. This gorgeous creamy texture glides on the skin beautifully and you can actually feel the shear creaminess of the Shea Butter too. It is quickly absorbed and leaves no greasiness as it’s so beautifully light. As this product contains Retinol it’s advisable if you have sensitive skin to use it twice a week to begin with and gradually build up to every day use. Super Facialist’s Retinol+ Anti-Ageing Day Cream really is a great product and will leave you skin super hydrated and feeling firm with increased elasticity. In addition to the day cream, Super Facialist also produce a luxurious night cream . The night cream again is super affordable at just £19.99 for a 50ml pot. This cream has the same lovely scent with a slightly thicker consistency but the same richness. It’s also enriched with Hyaluronic Acid and a collagen booster ingredient to target those lines and wrinkles while we sleep. Used regularly, your skin will appear and feel firmer smoother and look glowing . As with the day cream, the advice is to build up to regular use if you have sensitive skin. A really great range of products. Mavala’s Aqua Plus products are from their multi-moisturising soothing skincare range, especially good for those who suffer with really dehydrated skin. The Multi-Moisturising Intensive Serum comes in an airless pump bottle and feels beautifully light on the skin, creating a wonderful sheen when it’s applied. This range’s products are concentrated in pure Hyaluronic Acids of 3 different molecular weights. They effectively penetrate all epidermal layers, hydrating and ironing out lines, while Swiss Mallow Flower extract (known for its anti-inflammatory properties) makes skin sooth and supple. The serum can also be used on eyes and lips which is perfect at this time of year for those who suffer with dry, cracked and chapped lips as the serum really feels like it’s repairing. The Featherlight Cream is exactly that – light to the touch and able to hydrate for a full 24 hours. For best results, use along with the Intensive Serum both morning and evening. Developed in Swiss laboratories, every one of Mavala’s products contains not only the pure Hyaluronic Acids, but also an advanced Lipo-Amino Acid, Vitamin C, micro-encapsulated AHA for maximum skin penetration and cleansing Micelles to remove dirt gently. All water used in the Mavala labs is natural mineral water obtained from the highest mountains in the Swiss Alps, making these products truly luxurious. Click here to buy the range. Zenii’s packaging is cool and funky – the Micronutrient Repair Night Cream works by pumping the circular disc on the top of the pot which we loved. Nourishing and restorative, this repairing night cream contains retinols which are slightly gentler than other products you might have tried, along with Vitamin C, Vitamin E, Aloe Vera and Jojoba Oil. Coral seaweed which is rich in amino acids oxygenates and hydrates for that healthy glow. Working overnight, which is when skin is at its optimum for healing, this Repair Cream will support collagen levels, while you’ll wake up to supple and plumper looking skin. Zenii’s Antioxidant Power Serum neutralises free radicals in the skin for the ultimate glow – taking away that dull, tired complexion. With a powerful mix of Vitamin C, Niacinamide, Ferulic Acid and Hyaluronic Acid, the Antioxidant Power Serum will protect your skin from harmful UV exposure, while the concentrated ingredients will give your skin a big boost and help with anti-ageing and even repairing photo-damage and skin pigmentation.